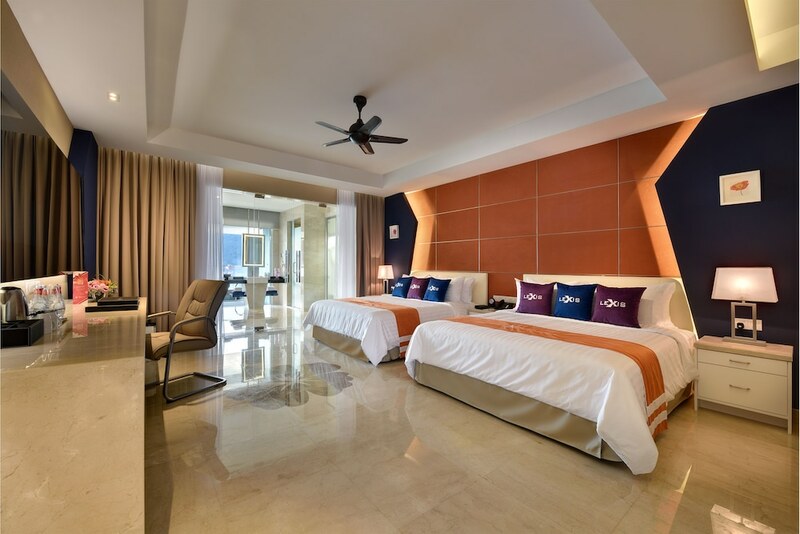 The best spa hotels in Penang cater to travellers looking to relax and rejuvenate throughout their holiday, featuring spacious guestrooms, excellent service, onsite eateries, and well-maintained facilities at value-for-money rates. One of Malaysia’s top tourist destinations, Penang is renowned for its quaint street art, most of which are concentrated within Georgetown. Offering ample sightseeing opportunities, there are also plenty of intricate Buddhist temples, historical relics and architecture dating back to the 1800s. Penang’s sandy beaches hosts numerous five-star resorts and boutique hotels, where guests can easily enjoy fresh seafood and hawker fare as well as a variety of beach sports and water sports activities. Boasting luxurious treatment rooms, warm hospitality and therapists with years of experience, check out our 10 most popular Penang spa hotels to find one that best suits your budget, preference and travel dates.